Opportunity in the sustainable growth of Halal Tourism in Asia Travel Market. KUALA LUMPUR, MALAYSIA, March 31, 2019 /EINPresswire.com/ — “Ain’t No Fool” to work together as alliances to penetrate the fastest growing tourism market. This pioneer coalition will serve the needs of the booming Muslim Friendly Tourism. 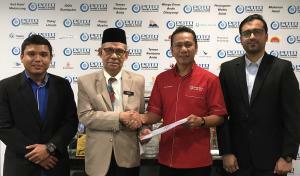 Four Major Players – HWH, RAFA, POTO and MUSFITS announces signing of collaboration agreement on April 1st aiming to be Malaysia’s First Full-Service Online Travel Agent (OTA) and its main goal to hallmark the local attractions experience targeting worldwide travelers to Malaysia. Promising from Truly Malaysia to Going Beyond Truly Asia. POTO Travel & Tours is a Muslim friendly travel agency Malaysia with 16 years of cohesive experience internationally and leads the Malaysia Muslim tourism industry. Famous for its reliable travel and tour packages including exclusive Umrah pilgrimage tour packages. POTO will be responsible for contracting the supply chain for local attraction providers and International travel resellers. RAFA Travel & Tour will focus on the online travel agent platform (OTA) centralized coordination within the alliance networks and unprecedented accessing B2C dynamic innovation for the benefits of the travelers. The platform provides exclusive Sabah and Sarawak adventure tours, Muslim Trail, Native Tribe, Colored Cultural, World's Oldest Rainforests Exploration and beyond thrilled local experience products. MUSFITS mission is to set the Muslim Friendly International Travel Standard to ease the Muslim Travel market needs. Hj.Abdullah Fahim (Former Director of Research and Halal, JAKIM, Malaysia) is not new to the Halal authoritative works with the World Halal Council as the member of Executive Committee and has been appointed as the Secretary General, Assistant Secretary, and Treasurer. Jurisdiction on Halal certification work in the Asian region gained him recognition and acceptance worldwide. HWH provides XeenAI – vanguard OTA technology solution to boost productivity, integrate travel players to meaningful connectivity between products and travelers. 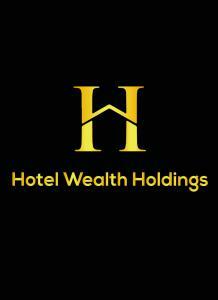 They specialize in hospitality digital marketing and optimizing Artificial Intelligence (A.I.) Big Data, business intelligence insights and Muslim Travel Intelligence to drive traffic.